Senior Vice President & Managing Director of Ceridian Mauritius serving customers globally. Vidia Mooneegan is Senior Vice President and Managing Director of Ceridian Mauritius serving customers globally. Considered as the pioneer of the IT-BPO industry in Mauritius, he has served various positions including President of the Mauritius Outsourcing Association. He is Vice President of Business Mauritius. He sits on university advisory boards, and advises government on ICT strategic matters. In his 20+ years as a senior executive, he has worked with customers and partners in North America, Europe, Asia and Africa. He has won many awards for his contribution to the development of the ICT industry including one from CEO Global Africa. Passionate about technology and innovation, he helps young people become digital entrepreneurs. Vidia is a regular speaker and writer on technology trends. 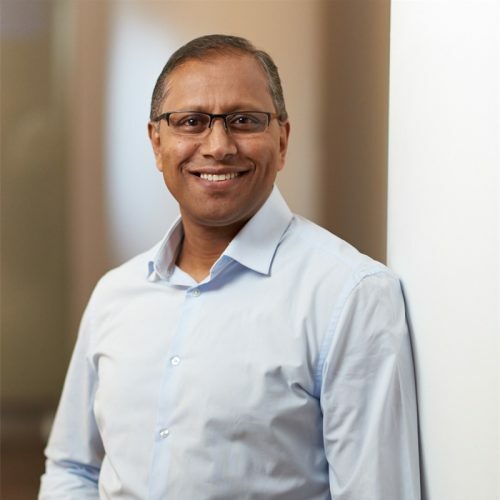 Prior to joining Ceridian, he has worked for TNT Business Solutions in Mauritius and Arthur Andersen and Schlumberger in the United Kingdom.